Children’s Church – Portable 1 – 11 a.m. – 12:15 p.m. This children’s church program is all about having the POWER to learn about, grow in, and share God’s love. Children will spend their time learning about each other and their God while playing games, singing songs, doing crafts, exploring the outdoors, speaking with guests, and so much more! One of the best things about your children learning in the PowerHouse Kids is that they are getting the same lesson you are. 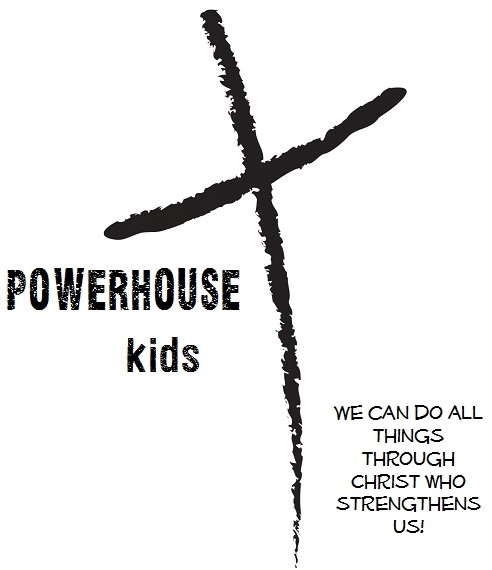 PowerHouse teaches the children not only about our faith and reliance on God and Jesus’ love, but also how to LIVE it! No matter how big or small – we have the POWER to change it all!